The popular Twitter client Tweetbot has received an update today to make the app even better than before. Version 2.7 now brings the option to open links in Chrome or 1Password, image support for Flickr and also Vine, plus bug fixes as well. 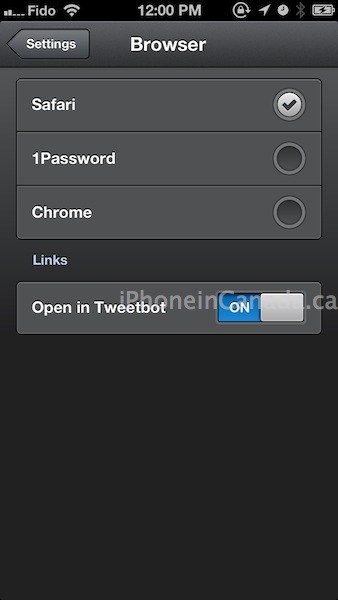 As you can see below (left), the option to change browser options can be found within Tweetbot’s settings. 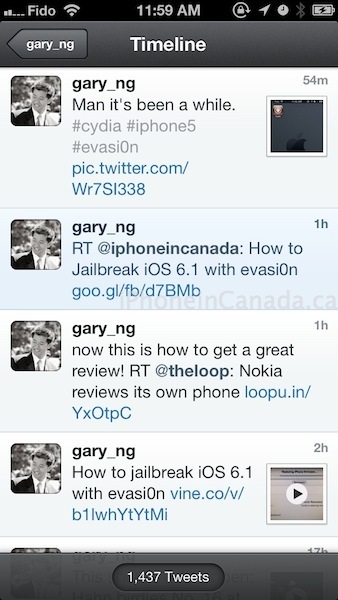 On the right, the last tweet is an image preview of a recent Vine share (how to jailbreak iOS 6 in 6 seconds). This just makes for a better Twitter experience. Click here to download Tweetbot, it’s $2.99 in the App Store.